Whether you use gas or charcoal, grilling is a cooking technique that's full of potential pitfalls. And because most home cooks don't do it frequently, it's easy to fall into bad habits that are difficult to unlearn. 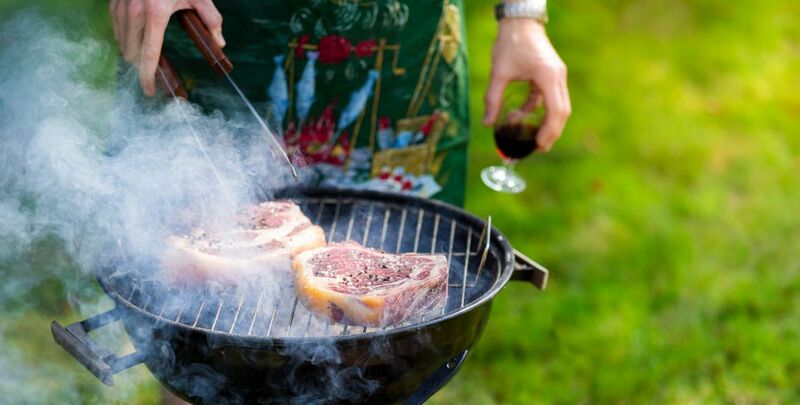 Here are seven of the most serious grilling sins—and how you can finally break free of them. Cleaning the grill is a fact of life. You're going to have to do it at some point, so the only question is when. 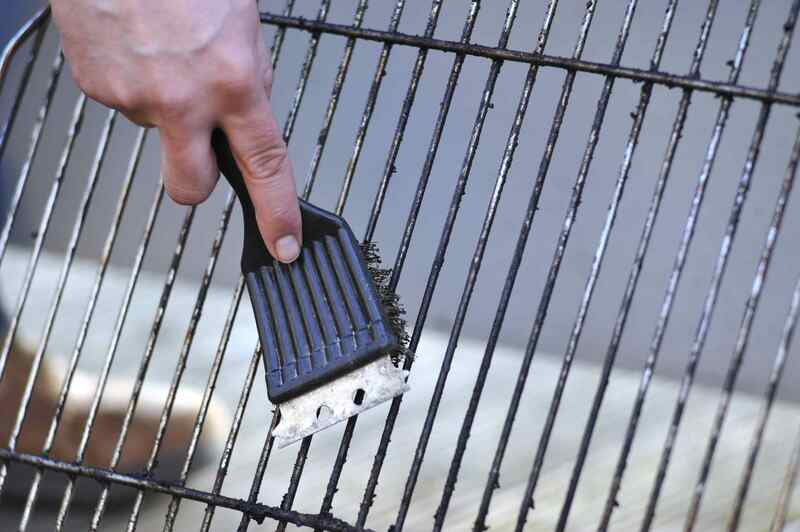 Get in the habit of cleaning the grill after you're done cooking. That way, it's already sparkling clean and ready to go for your next cookout. This also applies to leaving the grill dirty at the end of the grilling season. If there's anything worse than trying to clean baked-on crud that's been sitting there for several days, it's trying to scrape off baked-on crud that's been sitting there for months. If you get in the habit of cleaning the grill when you're finished cooking, you'll never have to deal with this problem—even if you're not completely certain it's the last time you'll be grilling that year. There are several reasons using lighter fluid is a bad habit. For one thing, it tastes terrible. Not only does the kerosene will permeate your food, it's also not terribly safe. Yes, the instructions say only to apply the fluid to unlit coals, but there's always someone who sees the fire dwindling and decides to squirt a little more on there, and then whoosh. Goodbye, eyelashes. So, what's the alternative? A chimney starter. It can take 100 charcoal briquets and have them glowing hot in a scant 20 minutes using nothing but a match and a sheet of newspaper. Plus, once you start reckoning your charcoal in terms of chimneyfulls (or fractions thereof), you'll be able to produce specific temperatures. Next thing you know, you're a grilling expert! Grilling is about cooking something quickly over a very high heat, especially items like steaks, burgers, chops, kebabs and hot dogs. Closing the lid turns your grill into an oven and increases the heat, which is exactly what you want. Opening the lid allows the heat from the coals to escape and also exposes the briquettes to whatever wind or breeze might be present. Not only will that affect the temperature of the grill, it can also blow ash onto your food. Keeping the grill lid closed allows you to make precise temperature adjustments by opening or closing the air vents. Without the lid, you give up all control. Because grilling is about cooking food quickly, you don't want to do anything to slow down the process. When you transfer a steak straight from the fridge to the grill, that steak is going to take longer to cook because it's starting off ice-cold. Thus, by the time the center is a perfect medium rare, the outside will be scorched. All of this can be avoided by simply letting your steaks come to room temperature for at least 30 minutes before grilling them. Just take them out of the fridge and let them sit on the counter. This just happens to be how long it will take to set up your grill, light your chimney starter, and wait for the coals to reach their proper temperature. Which means you have no excuse for grilling cold food ever again. Sauces and marinades with a high sugar content will start to smoke and burn on the grill, inevitably creating a smoky, blackened mess on the outside of your chicken long before it's fully cooked on the inside. Instead of coating the food with sauce before grilling, brush it on during the last couple of minutes—that's just enough time for it caramelize, but not enough for it to burn. One of the fundamental principles of charcoal grilling is the concept of the two-zone fire. Instead of distributing your coals uniformly across the inside of your grill, you intentionally arrange them on one side only, leaving the opposite side empty. This creates a hot zone and a cool zone, makes all the more advanced grilling techniques possible. A two-zone fire lets you cook steaks and veggies at the same time, it gives you a place to move foods that are nearing their doneness, or scoot things away from the coals in the event of flare-ups. And by the way, you can achieve the same thing on a gas grill simply by leaving the burners on one side turned off. Having a cool-zone to move foods as they get done or to combat flare-ups is all well and good, but only if you have room on the grill to move those items! If every square inch of space on your grill is already occupied, you've got nowhere to move things when you need to. The solution: Leave at least 30 percent of your grill space open. Even if that means you need two separate shifts to cook everything, all of your food will be better in the end. Not to mention, if you load too much food on your grill all at once, you'll instantly lower its temperature and cause your food to spend longer cooking, which as we discussed is another no-no.